Impress an important person in your life or keep this set for yourself. This set is for people who love to add to their collection of world flags, flasks, or items that showcase their love of the Maple Leaf flag. Perfect for anyone in your life who enjoys a little drink and as well as a little Canadian pride - family, friends, coworkers, clients, or anyone else in your life. 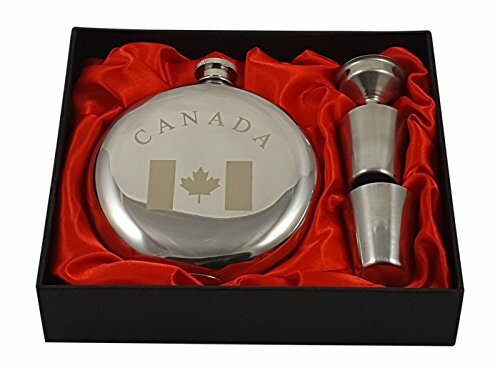 This set includes a round flask with "Canada" engraved with a Canadian flag. The flask is made of stainless steel, two shot glasses, and a convenient funnel. 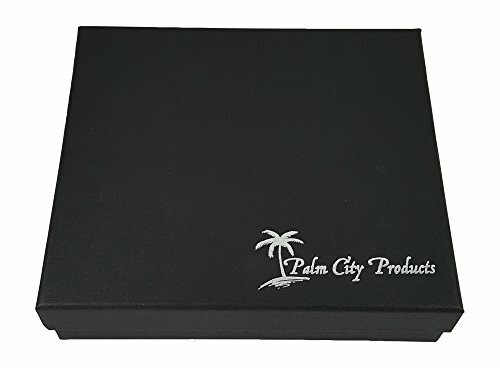 All of this is delivered in an elegantly packaged gift box. Looking to give a gift to a Canadian who enjoys a drink? 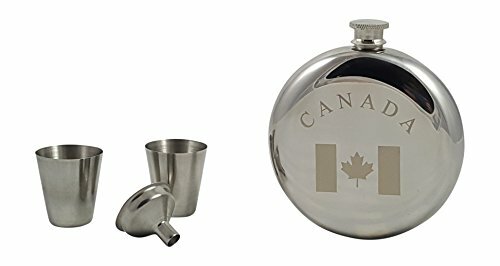 Check out this Canada themed flask gift set. 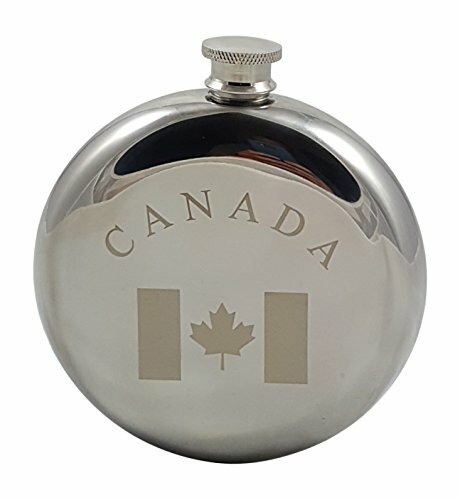 Unique look - Stylish, round-designed flask holds 10 oz of your favorite beverage engraved with the beautiful Canadian flag and the word "Canada". Great gift - Give a gift that is sure to impress. Perfect for someone who enjoys a drink - family, friends, colleagues, or clients. This set is great for people with the pride for the Maple Leaf (l'Unifolié).